This book was in my library’s FOL sale area and I picked it up because I don’t think I’ve ever seen anything by Subterranean Press used anywhere. They usually have limited edition runs and they are collector’s items no? 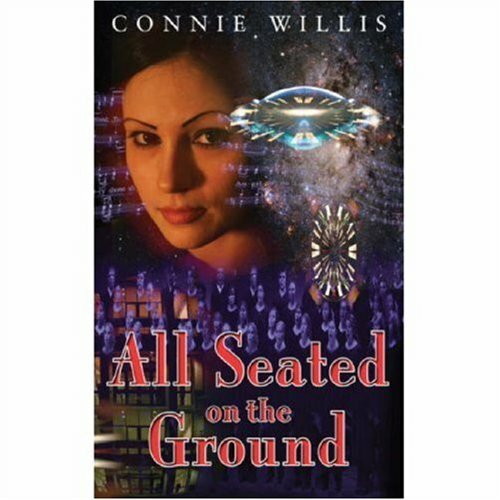 I picked up All Seated On the Ground by Connie Willis for a dollar. I was surprised to then find that this book sells for over $40 online. Maybe I will keep it now (but don’t worry, you don’t have to spend $40 to read the novella. 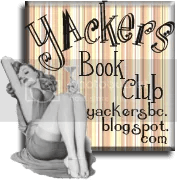 It’s all online at Asimov’s here). This is a small hardcover novella and at 126 pages it’s a very quick read. The jacket blurb says that the author is “a huge fan of the holidays and their accompanying frivolity and nonsense, and has written a marvelous array of Christmas stories”. This is one of them. The story starts off in Denver where a space ship has landed on the Denver University campus, and six aliens have gotten out. Instead of doing anything expected like trying to take over the world or kidnap Earth women, these aliens just glare at everyone in disapproval. In an effort at communication, the goverment formed a commission “consisting of representatives from the Pentagon, the State Department, Homeland Security, the House, the Senate, and FEMA, to study them”. Months pass by with little result, only more glares. When it failed, another commission was formed. Then another one when that failed. The third commission includes our narrator, Meg, who had written humorous newspaper columns about aliens before and after the arrival of these beings (by now called the Altairi). At this ppint, the fervor over the Altairi has died down and it’s close to Christmas. The only thing the commission has figured out is how to get the Altairi to follow the commissioners to various locations. One day, they take the aliens to a mall and the Altairi suddenly sit down in unison. Dr. Morthman, the chair of the commission is very excited, yelling orders everywhere and demanding to know what caused this reaction. Despite wanting answers, he never pauses to listen to anyone else, and ignores Meg when she tries to tell him anything. So Meg goes off on her own to figure it out with the help of a choir director named Calvin Ledbetter. Overall: I thought this was a cute, lighthearted, story with a tongue-in-cheek message. There’s also a lot of Christmas and other holiday season songs, many versions of which I’d never heard of. Probably a nice story to read aloud closer to Christmas season. I wouldn’t say to go buy it for $40 though. Only if you are a diehard Willis fan and need to complete your collection. I mentioned it’s free online right?